An agile workplace optimised for innovation. 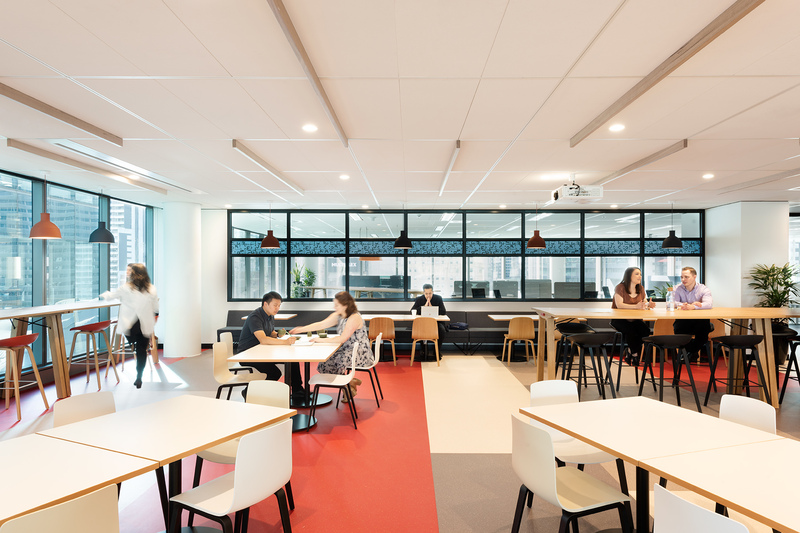 When BLP designed Fujitsu Melbourne’s Headquarters, the brief was clear: to honour Fujitsu’s refined Japanese heritage and create a culture of ‘One Fujitsu’, while also incorporating the local Melbourne flavour into the design. Often-times called the most ‘European’ of Australian cities, the project took the refined sense of style and tailored aesthetic of Melbourne’s population as a baseline that manifests across the workplace in the form of crisp and understated contemporary styling, emphasising quality materials and finishes. The design team also took inspiration from Melbourne’s orderly grid layout interspersed with its’ famous laneways: bright slivers of colour and texture coursing unexpectedly through the city. In this way the project remains refined and urbane, yet holds pockets of colour and playfulness that are encountered throughout the various activity-based zones. 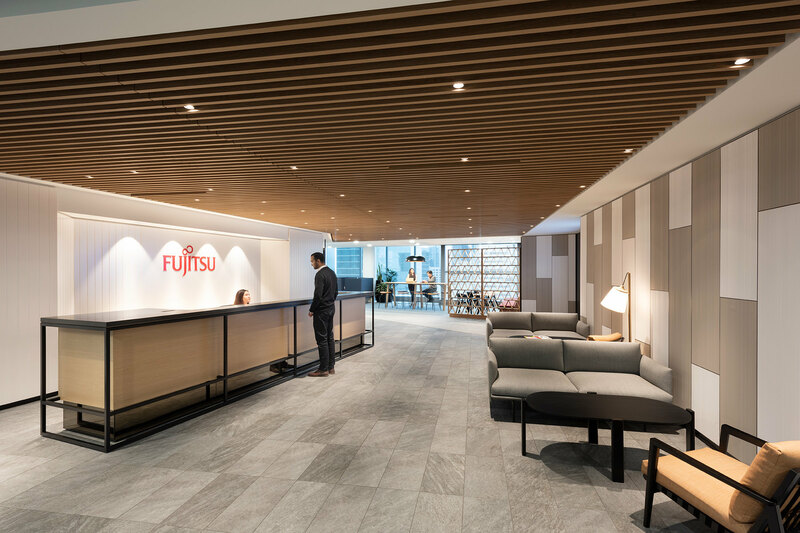 The design team ensured Fujitsu’s values were underpinned throughout: respect for the environment by the selection of timeless and sustainable materials, embodiment of authenticity by incorporation of local design elements and materials, and leadership in innovation through seamless integration of technology within the workplace in alignment with established workstyles. 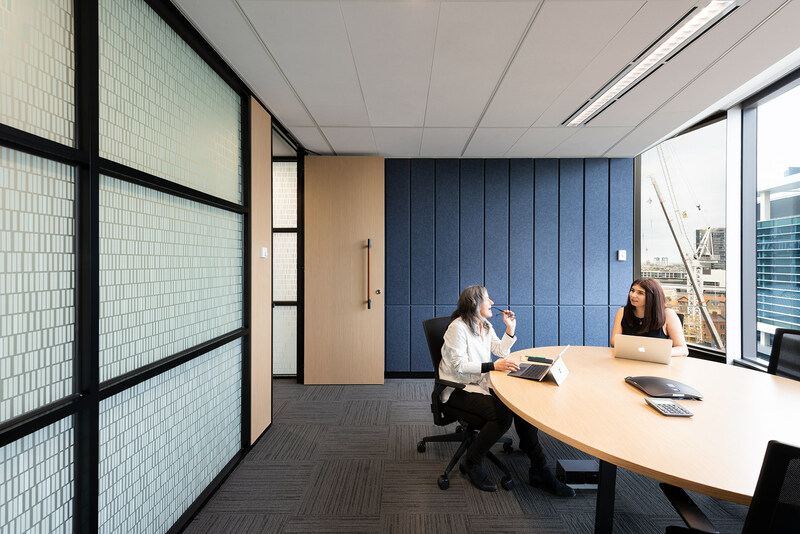 With various spaces for client engagement, collaboration, focused work and community, the project delivers an adaptive and flexible workplace that is optimised for innovation. Meeting rooms and collaborative spaces have been equipped with the latest technology, enabling instant connectivity and seamless workflows without compromising on aesthetic value. 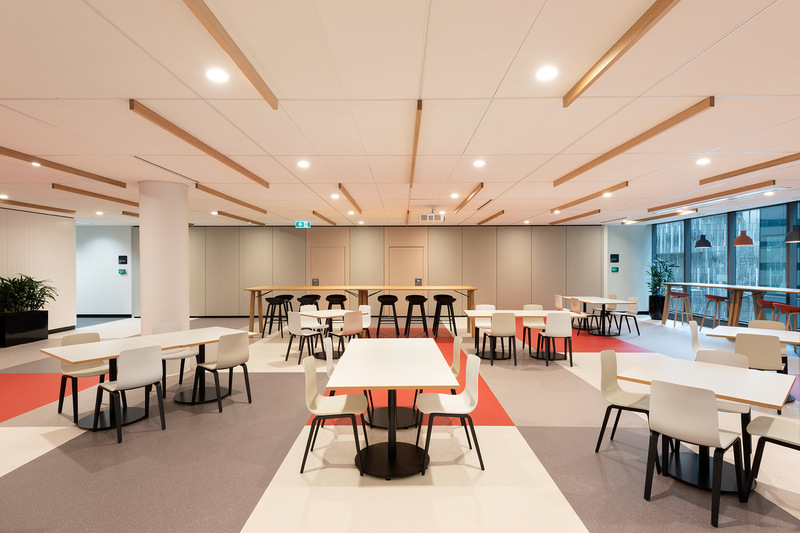 Fujitsu’s signature red is fused into the fabric of the space as subtle accents to furniture and joinery, serving as an understated connection to the worldwide brand whilst allowing the Melbourne Headquarters to retain its own unique character. 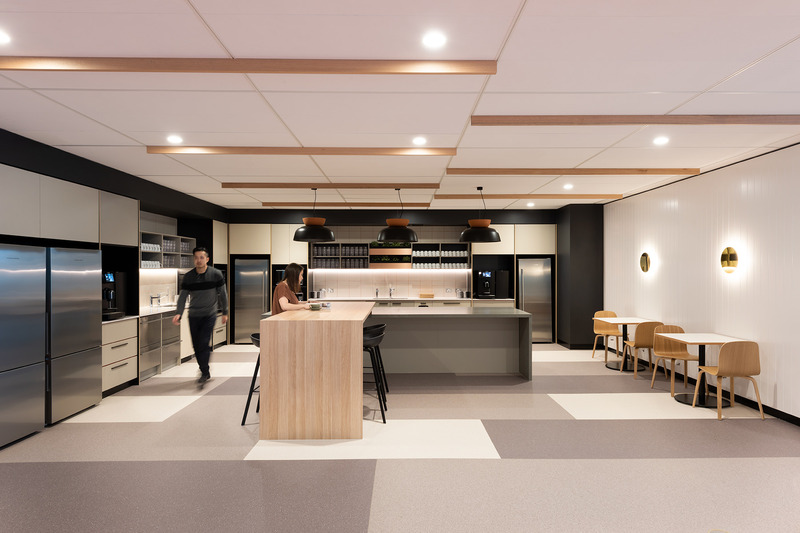 As part of Fujitsu’s Australasian rollout of new agile workplaces, BLP also designed their Auckland workplace, completed in early 2018.